I know today is St. Patrick’s Day, and I’ve got my green on so that I won’t get pinched! But I’m not Irish, and I’ve never been a big fan of Irish cuisine, so I’ve got nothin’ in that department. However, if you are interested in some corned beef and veggies, then come to Wed’s @ CCC tonight. Cindy’s serving some up for the meal at church tonight! In mixing bowl, cut shortening into flour, salt, and baking powder. You can do this using a pastry blender or two knives. This should look like a course mixture. With your mixer flat paddle, gradually add in water until soft dough forms…not sticky. Knead for about 3 minutes longer on medium speed. Turn out dough onto counter top and split into 12 pieces (for large burrito size tortillas) or 24 (for small soft taco size). Let dough rest for at least 10 minutes. When ready to cook, heat up skillet to medium-high heat. Roll out each piece of dough until very thin and fry in skillet until golden brown. 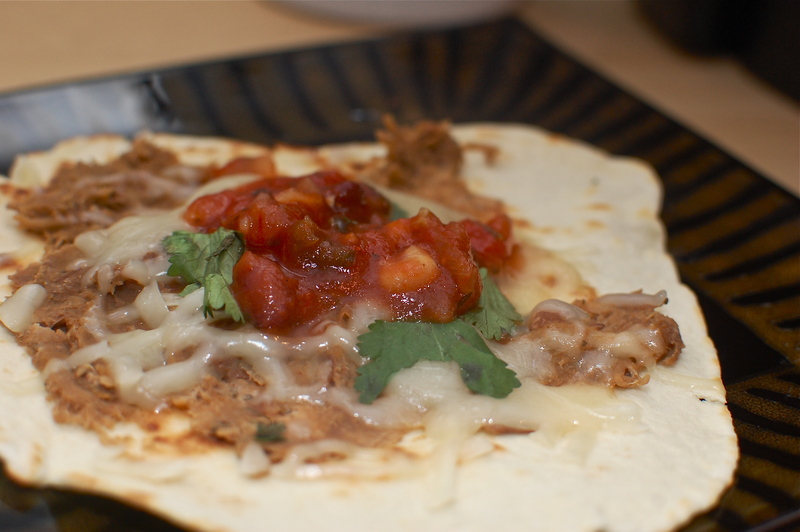 Serve with favorite mexican style meat and toppings. They’re not quite the perfect circle, but that doesn’t mean anything to me…taste is most important!! on March 17, 2010 at 2:54 pm | Reply Meghan A. LOOKS WONDEFUL! I can’t wait to try these! Double Yummo! 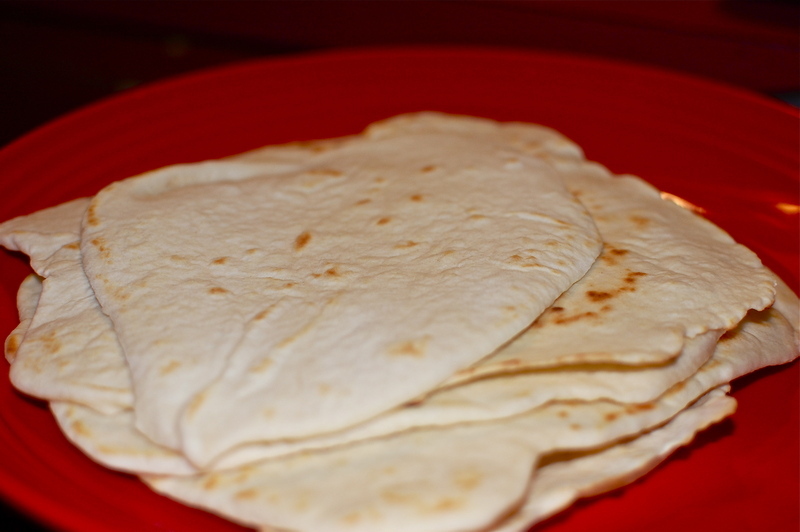 I need to send you Mrs.Darker’s recipe for tortillas. She’s part Mexican so she really knew what she was doing. She used to come in and teach my home ec classes how to make them. The recipe included a whole wheat version. She made it look sooooo easy! She also told us that one of her favorite things to do was to leave the dough sit on the counter (covered by a bowl, or course) and make sour tortillas in the morning.